7 owners from new. We originally sold this car in 2009 and its only had one lady owner since. 2 x keys, 2 x fobs aftermarket gt alarm. Huge amount of service history and invoices, the previous owner wasn’t shy on maintaining this car – as you can see it was her pride and joy. The service booklet is fully stamped. 1998 SGT 1,932 miles – First service. 1999 SGT 4,229 miles – A service. 2000 SGT 12,461 miles – A service. 2001 SGT 17,831 miles – B service. 2002 SGT 25,545 miles – A service. 2003 SGT 33,044 miles – A service. 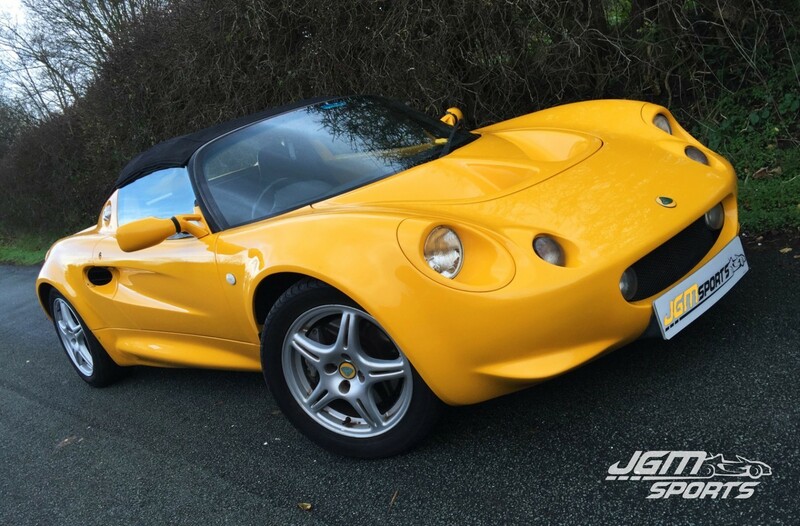 2006 43,884 miles – MOT. 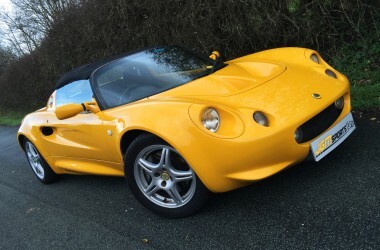 2007 46,816 miles – MOT. 2008 Grantham 47,133 miles – C service. 2008 48,993 miles – MOT. 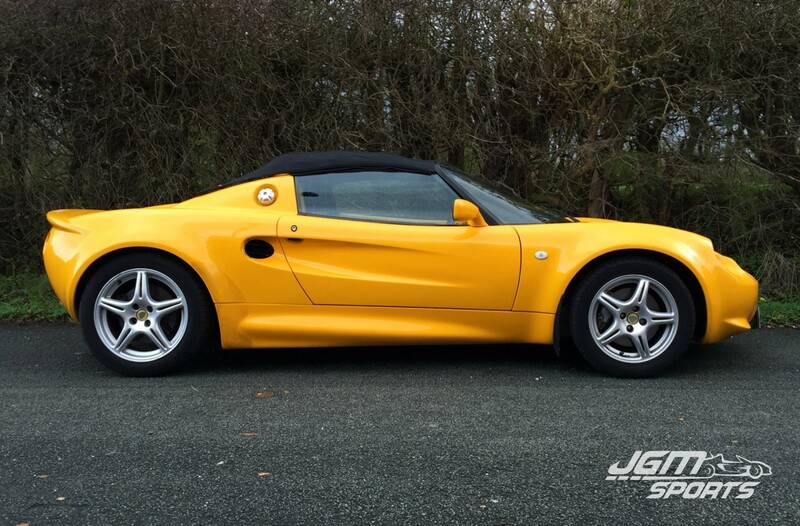 2009 Pure Lotus 51,142 miles – A service. 2010 54,730 miles – MOT. 2010 54,730 miles – Numerous suspension parts, ball joints, tie rod ends etc. 2011 59,727 miles – MOT. 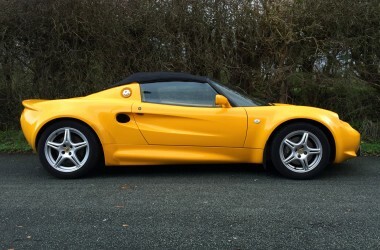 2011 Pure Lotus – A service. 2012 61,627 miles – MOT. 2012 Esprit Cars – Rear tyres, battery. 2012 Esprit Cars – Front tyres, alternator. 2013 64,487 miles – MOT. 2013 Esprit Cars – Brakes front and rear. 2013 Esprit Cars – S2 suspension upgrade, stainless exhaust, new cat etc. 2013 Esprit Cars – C service, cambelt. 2014 Esprit Cars – Head gasket, cambelt again, water pump, o2 sensor etc. 2015 Esprit Cars – A service, injector clean, s2 wiper kit etc. 2015 67,221 miles – MOT. High quality Larini stainless steel exhaust. The body work is in fantastic condition, hardly a blemish on it. Black leather interior with matching soft top although the soft top is starting to look its age. Private plate that is included in the sale.